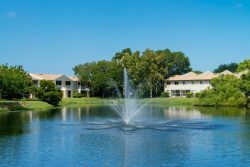 Living in the Bradenton-Sarasota areas of Florida has a ton of seasonal perks: comfortable weather, a great selection of apartment complexes, and a fresh selection of waterfront eateries. As the weather begins to warm up throughout the months, we encourage residents of Sarasota to wine and dine at the following locations that just so happen to lay on the Gulf. From breakfast brunch, lunch to dinner, and a late night snack, check out the best beachfront dining in Sarasota! Whether you come by land or sea, Phillippi Creek Restaurant & Oyster Bar in Sarasota is known to have the best, and freshest, oysters in town. This family friendly restaurant boasts a tropical setting and fresh selection of the Gulf’s catch of the day. In fact, Phillippi Creek was voted “Best of the Best” Raw Bar and Restaurant 12 years in a row! From jumbo shrimp to seafood sandwiches, the menu at Phillipps’ has something for every member of the family to enjoy. Be sure to ask your server about their fish bowl drink – the Blue Bayou Coronarita – which serves 2-4 people! City Island: The menu never fails to list the freshest, most crisp starters plates. We especially love the homemade crab dip, conch fritters, and coconut shrimp! Current specials include grouper eggrolls for $9.99 – and they go fast! A Tasty Tip: The Old Salty Dog’s City Island location now serves breakfast every Friday-Sunday from 7:30 am – 10:30 am! Siesta Key: From the “big dog” sampler appetizer to Phil’s famous cheese steak, the selection of specials at the Siesta Key location will make you want to try one of everything! Can’t decide on just one item? Order a basket of chicken tenders, fried gulf oysters, or butterfly shrimp to share with friends! Venice Island: As the newest location of The Old Salty Dog, Venice Island hosts tasty nibbles with a waterfront view – you decide which is best! This location boasts a long list of seafood specials, and our top recommendation has to be the salmon stuffed mushrooms for $6.50. If we had to think of the perfect way to describe Boatyard Waterfront Bar & Grill… They already took the words out of our mouth: “Come for the food, stay for the view!” Each and every seat offers a water view – whether you sit indoors or out. The outdoor deck boasts waterfront views of elegant yachts and golden sunsets. Keep your eyes open for manatees and dolphins passing by, too! As you sip on daily Happy Hour specials from 2-6 pm, check out their menu for a fantastic selection of sea-inspired appetizers, side dishes, and entrees. We suggest starting off with Island Nachos, topped with cheddar jack, pico de gallo, black bean salsa, and cilantro ranch. Add chicken or shrimp as an extra topping! Next, the Florida Cobb Salad is decorated with shrimp, crab meat, goat cheese, tomatoes, hard boiled eggs, and bacon bits over a bed of fresh greens. And if you still have room for dessert, ask your server for the latest creations! Perhaps the most unique feature of Boatyard is their “you hook it, we cook it” service. After you reel in your catch of the day, bring it on in for the kitchen to cook. You also have the choice of baked potatoes, fries, rice, or fresh veggies as sides. 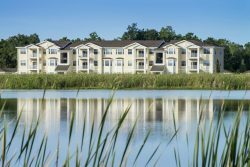 Talk about redefining fresh seafood for residents at nearby Ranch Lake and The Lexington! What catch of the day is your favorite in the Sarasota-Bradenton area? Share your go-to waterfront dining spots with us on Facebook!